I wasn’t well for the past few days and wasn’t posting frequently. Was I? So, to compensate for that I will be publishing all those posts that I have saved in the drafts. Okay! 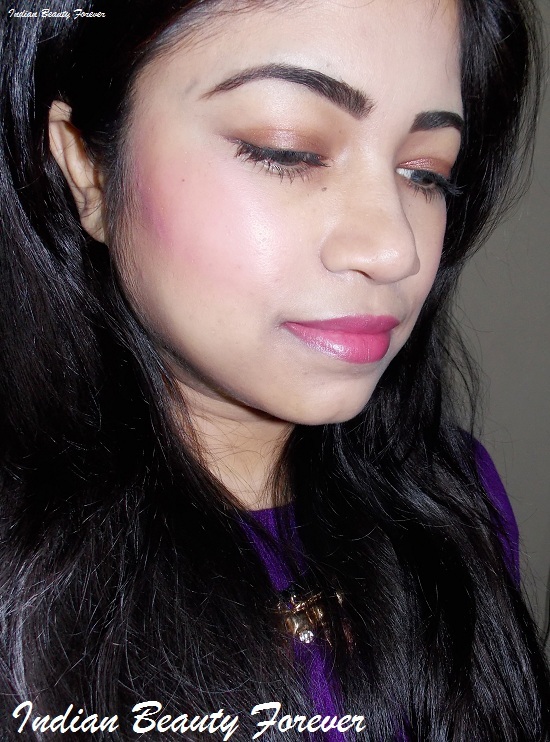 and today, I will share this makeup look breakdown that you may have also seen in my Oriflame cream blushes review. 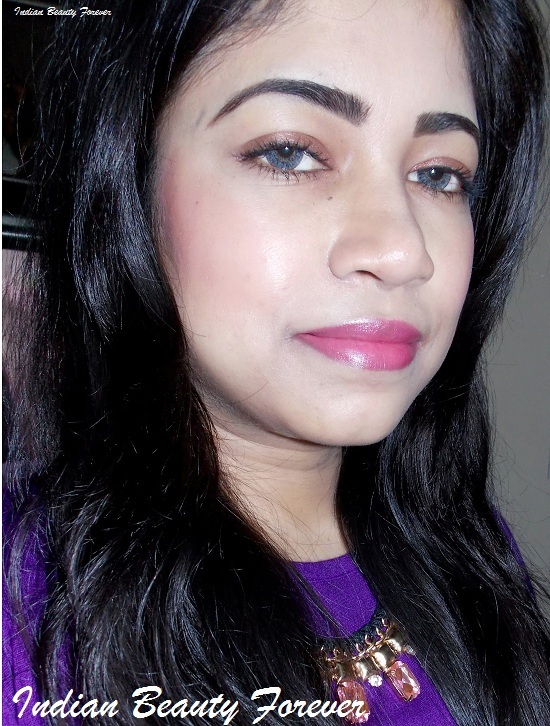 It is a very easy and simple makeup look which I too personally, that is good to go for a day time affair and when you don’t wish to look anything but glowy and fresh. At times too much makeup can be distracting and unflattering so keeping it simple should be the key! If you are already blessed with a great skin then BB’s are for you , if not grab your favorite foundation and use it only on the areas that needs some coverage and let rest of your skin breath. A cakey face is something that you should avoid specially at the day time. I have started with prepping my skin with an oil free moisturizer, after which I applied Pond’s BB cream by dotting it all over the face with gently blending it all over. My base was done, then I moved on to the eye makeup. 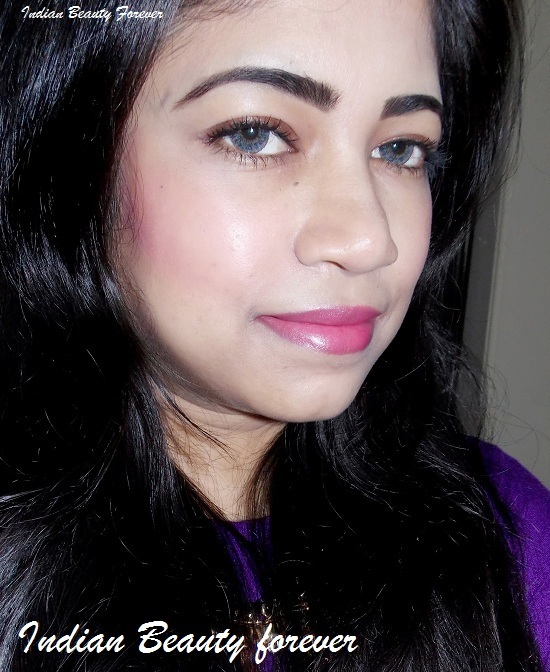 Eyes: For my eye makeup, if you will see, for a change I skipped the eyeliner and opted for a coppery brown eye shadow from the Lakme Tanjore rush palette and swiped it all across the lid without taking it too high above the crease. I wanted to keep it soft on the eyes, yet wanted to open up my peepers for which I curled my eyelashes, which I generally avoid. 2 coats of mascara and I am done. No eye makeup is complete without the well framed eyebrows to achieve that I filled in my brows very lightly. I softly contoured my cheeks with Sleek’s face contouring palette (Review coming soon at a computer near you. :)) and then applied oriflame cream blush in Pink Glow. Cream blushes are always an easy way to get some glow on your cheeks and these oriflame ones aren’t greasy in texture rather more like moisturizers and because of this they don’t seem greasy or feel heavy on the skin, even if you have oily skin. 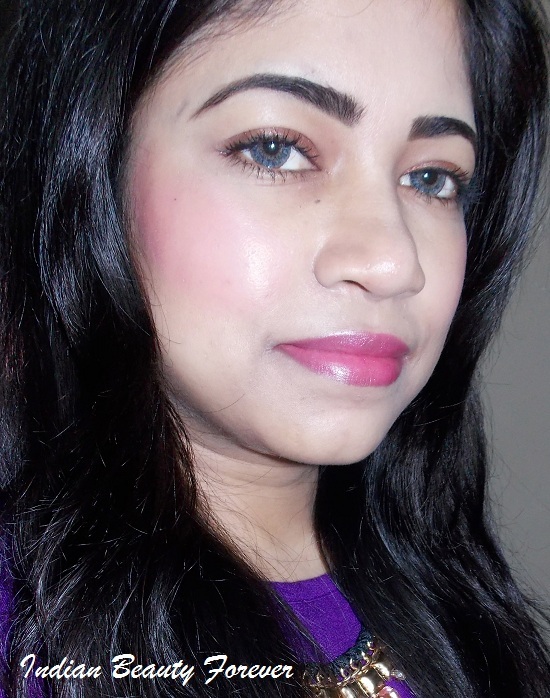 Lips: For the lips, I chose a soft mauvy pink lipstick and Avon True Rose suited that requirement of mine perfectly. It a pretty pink that fits the bill and suits most of the skin tones. I have refounded it and loving it a lot these days. Hair: For hair Um!! Do whatever you like!!! In the Salman khan style from BB7.